I’m not very good at this girly thing. Makeup? I’m too lazy. Clothing? I don’t like shopping for it because I don’t like the way it looks on me. Jewelry? I love the stuff but have no clothes to match. Hair? Don’t get me started. My sister used to do her hair perfectly every morning. She would have the curling iron out, the hair drier running, and the hair spray at the ready – all the best heat protectants for your hair were here too. Every time I attempted to do anything with my hair, however, I would burn my scalp and fingers, and my hair would flatten by lunch time. So, I did what any lazy person would do: I gave up. Now I just look in the mirror and sigh. It’s another bad hair day. Why can’t we be like men and just have one style that stays the same for years, looking the same when we wake up in the morning as when we go to bed at night? 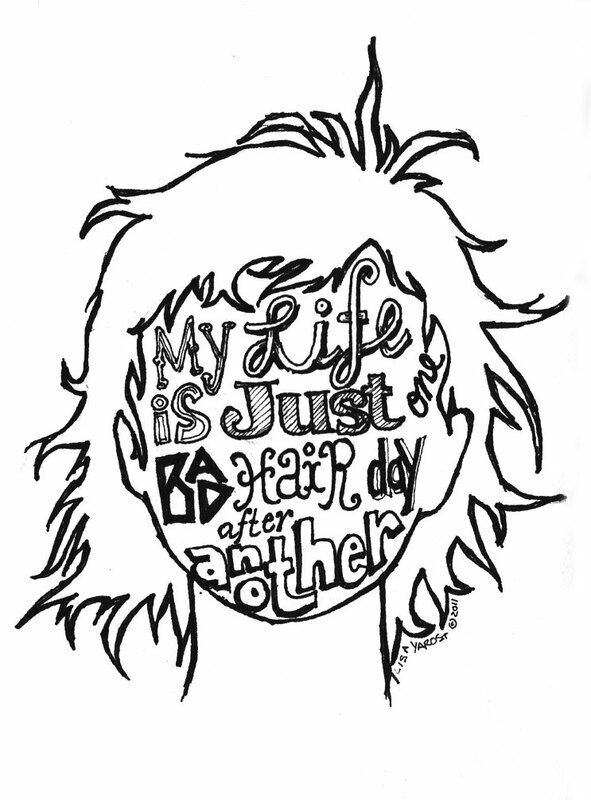 This entry was posted in Art, drawing, Humor and tagged art, Drawing, hair, ink, postaday2011, woman. Bookmark the permalink.